WATERFORD — Kyle James needed only two laps to take the lead. Then for the next 38-laps, he was on his own island, pulling away from the field. 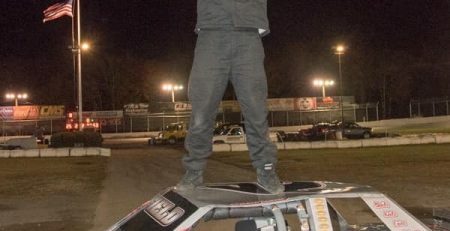 James dominating performance to win the 40-lap SK Modified feature was one of the highlights during Saturday’s activity at the New London-Waterford Speedbowl. In other action, Wayne Burroughs prevailed over point-leader Jonathan Puleo in a wild five-lap sprint to the finish line to win the 25-lap SK Lite Modified feature. Al Stone waited until there 14 laps remaining to take the lead en route to his 52nd career victory. Charles Canfield used his familiar outside move to grab the lead with 11 laps remaining in his Mini Stock win. Jordan Churchill, driving a car normally driven by John O’Sullivan, made a breath-taking pass for the lead with 6 laps remaining on his way to a Legends win. 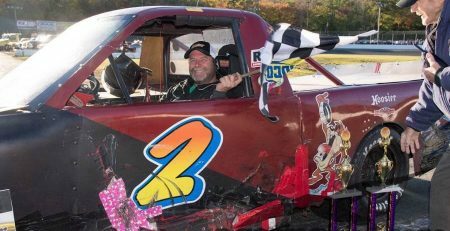 Brandon Plemons won his first ever Speedbowl Truck feature and Rob Richardi was an overwhelming winner in the CT. 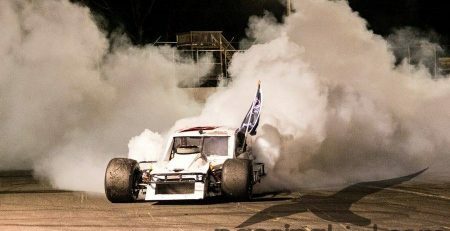 Pro 4 Modifieds. James comeback effort, however, drew much of the attention Saturday. 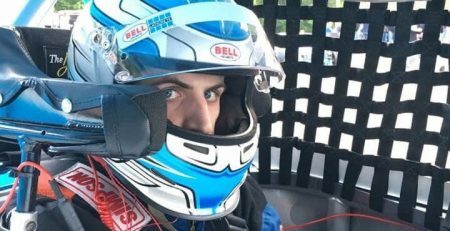 He severely damaged his car in a race on Aug. 18 and finished 10th. He had to replace the entire right front of the car and really didn’t know what to expect. It didn’t take him long to find out. James thundered past the two divers who were on the front row, Joey Turnullo and Andrew Molleur, and it only took him two laps in which to do it. He was never threatened the rest of the way in a race that ran green to checker. It was James’ sixth win of the year. James said the work his crew did during the week was the difference-maker when it came time to go racing. There were 40 laps worth of evidence. In the SK Lite feature, Burroughs was involved in a battle with Nick Anglace for the race lead and was able to surge into the lead on lap 5. Puleo was involverd in an early incident trying to shuffle his way through the field and was forced to restart in sixth place. When a caution came out with five laps to go, however, Puleo was in second and restarted alongside Burroughs in the front row. Burroughs exploded into the lead on the restart and started to pull away, but Puleo made one last frantic move on the last lap. The winning margin for Burroughs was one-third of a car. It was Burroughs second win in the last three races. Stone was very cautious during the first half of the Sportsman feature, but by the halfway mark, he had carved his way into third place. He blistered past Adrien Paradis and Jon Porter with 14 laps to go and then opened up a hefty lead the rest of the way. The last few laps, however, were not perfect. There was life in the car when it mattered the most, however. 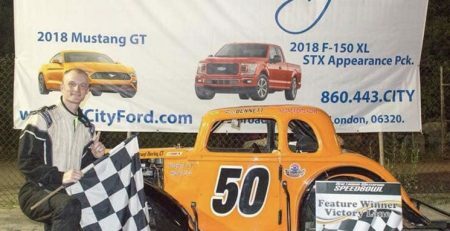 Canfield took off on the outside groove, whirling past Sean Caron with 11 laps remaining, on his way to his sixth Mini-Stock win in the past eight races. He trails Doug Curry by five points in the championship standings. 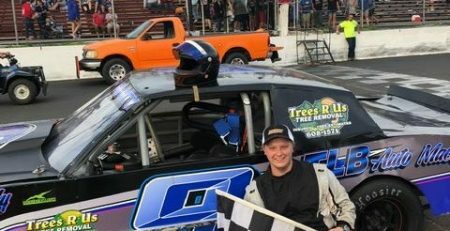 Plemons made his fourth appearance in the Speedbowl Truck Series a winning one when he jumped into the lead early, making a move past Lucas Leone on lap 3. Once he roared into the lead, no one could catch him. Churchill, meanwhile, had to claw his way through the field in the Legends feature. 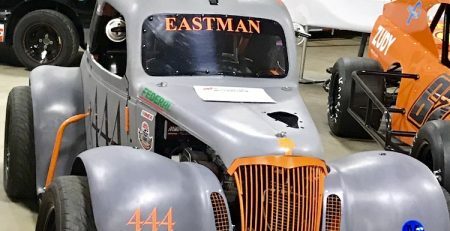 Corey Caddick zipped into the early lead and dominated the first several laps, but point leader Peter Bennett was able to wrestle away the lead. He couldn’t keep it, however, like he has done so many times this season. Churchill, a former Wednesday night champ, executed a dive-bomb move underneath Bennett and scalded his way into the lead on lap 19. He was impossible to catch the rest of the way. 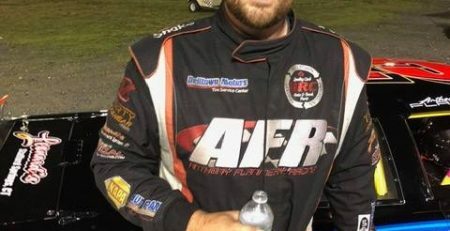 The Pro 4 Modified race was slowed down by a lap 1 crash that involved three-time winner Brett Meservey, who pounded the turn 1 wall. When the action resumed, Richardi catapulted into the lead and was untouchable the rest of the way. Randy Cabral, who finished second, had seen enough. Racing resumes Wednesday with the final Wild and Wacky Wednesday of the season. Champions will be crowned in the Legends, Super X-Car, X-Car and Bandolero divisions. 40-lap SK Modifieds: 1. Kyle James, Ashaway RI; 2. Andrew Molleur, Shelton; 3. Tim Jordan, Plainfield; 4. Rob Janovic Jr., Waterford; 5. John Montesanto, North Branford; 6. Todd Owen, Somers; 7. Joe Allegro Jr., Vernon; 8. Matt Galko, Meriden; 9. Joey Ternulo, Middletown; 10. Paul Buzel, Trumbull. 25-lap SK Lite Modified: 1. Wayne Burroughs, Oakdale; 2. Jonathan Puleo, Branford; 3. Andrew Molleur, Shelton; 4. Chris Gombos, Naugatuck; 5. Victoria Bergenty, Plainville; 6. Ethan Durocher, Canterbury; 7. Nick Anglace, Nsaugatuck; 8. Bert Ouellrtte, Ellington; 9. Anthony Marvin, Colchester; 10. John O’Sullivan, Salem. 25-lap Mini Stocks: 1, Charles Canfield, East Haven; 2. Sean Caron, East Hampton; 3, Doug Curry, Groton; 4. Nick Pappacoda, North Branford; 5. Jake Christian, Norwich; 6. Wood River Junction RI; 7. Chris Taylor, East Lyme; 8. Dale Sherman, Charleston, RI; 9. JT Suprenant, Central Village; 10. Tommy Silva, Gales Ferry. 30-lap Sportsman feature: 1. Al Stone, Durham; 2. Adrien Paradis III, Plainville; 3. Jordan Hadley, Quaker Hill; 4. Bo Norman, Clinton; 5. Jon Porter, East Lyme; 6. Shawn Gaedeke, Groton; 7. Phil Evans, Uncasville; 8. Rit Shawn, Westerly, RI; 9. Rachel Forte, Douglas, Mass. ; 10. Jason Chicolas, Sutton, Mass. 25-lap Legends: 1. Jordan Christian, Lisbon; 2. Peter Bennett, Cromwell; 3. Corey Caddick, Richmond RI; 4. Conner Holderbach, Wolcott; 5. Kyle Rogers, Waturbury; 6. Scott Limkemann, Lebanon; 7. Anthony Bello, Newtown; 8. Brian Zimowski, Enfield; 9. Nikki Vicarrioli, Shelton; 10. Tyler Palmer, Watertown. 25-lap Speedbowl Trucks: 1. Brandon Plemons; 2. Tom Metcalf, North Stonington; 3. Duane Noll, Monroe; 4. Jeff Karns, Quaker Hill; 5. Todd Taylor, Stonington; 6. Dylan Cabral, Richmond, RI; 7. Lucas Leone, Southington; 8. Mike Olsen, Deep River; 9. Pete Pollard; 10, Brandon Lindahl, Niantic. 25-lap CT Pro-4 Modifieds: 1. Rob Richardi,; 2. Randy Cabral; 3. Doug Meservey; 4. P.J. Peters; 5. Steve Dumas; 6. Greg Phillips; 7. JR Gorman; 8. Dion Doyle; 9. Brett Meservey; 10. Ben Ashford.